Over the years, W.E.B. 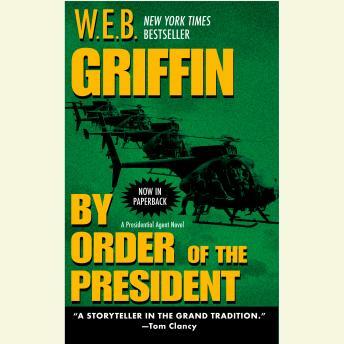 Griffin's stories of the military and police, told with crackling realism and rich characters, have won him millions of fans and acclaim as 'the dean of the American war adventure' (Publishers Weekly). Now he vaults into the present day with a series as exciting as anything he has ever written. At an airfield in Angola, two men board a leased Boeing 727; then, once it is in the air, slit the pilot's throat and fly to parts unknown. The consternation is immediate, as the CIA, FBI, FAA, and other agencies race to find out what has happened, in the process elbowing each other in the sides a little too vigorously. Fed up, the President of the United States turns to an outside investigator to determine the truth, an Army intelligence officer serving as special assistant to the Director of Homeland Security. Major Carlos Guillermo Castillo, known as Charley, is the son of a German mother and a Tex-Mex father, a Medal of Honor winner who died in Vietnam. A pilot, West Point graduate, and veteran of Desert Storm and the Special Forces, Castillo has a sharp eye for the facts—and the reality behind the facts. Traveling undercover, he flies to Africa, and there, helped and hindered by unexpected allies and determined enemies, begins to untangle a story of frightening dimensions—a story that, unless he can do something about it, will end very, very badly. It was typical of this writer. There was exciting points, alot of military. Fun but long. I have read several by Griffin and this will be my last.